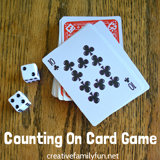 Have you ever made a summer bucket list for your family? It’s a great way to list out all the things you hope to do over the summer and it holds you accountable to having some family fun. 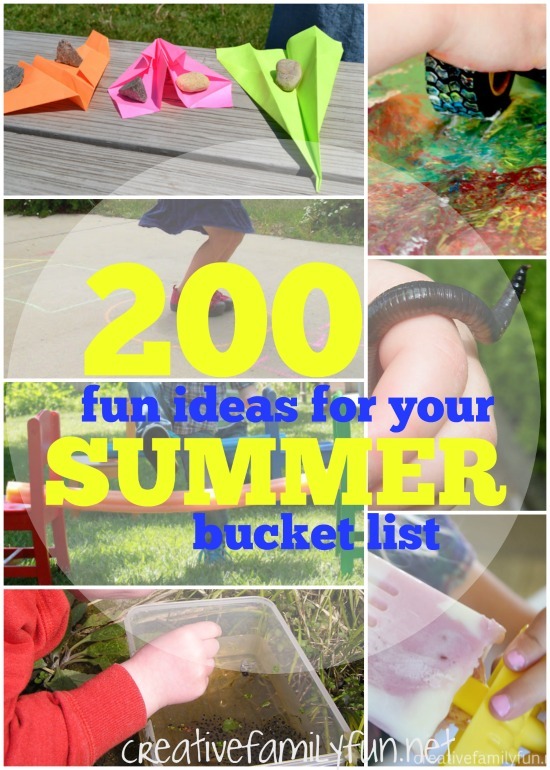 I’ve got 200 fun ideas that you can add to your list. But, caution, don’t add all 200! Pick and choose the best summer bucket list ideas for your family. And, don’t list so many that you’ll stress out! Note: This post was updated on May 28, 2016 with updated links and graphics. 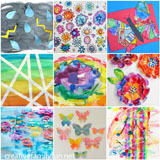 Make a scrapbook of all your summer fun! Did I forget anything? 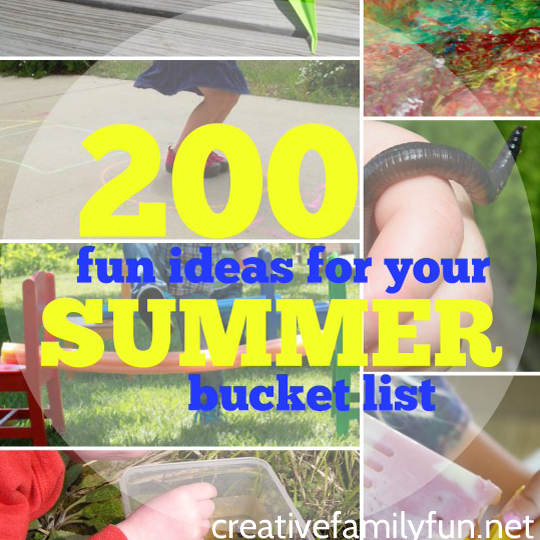 What would you add to this list?And if that’s not enough, here are 100 more fun ideas for your summer bucket list! Wow! I'm going to make a list for when I get bored this summer. How long did writing this take you? I love your list but had to add Make a New Friend, Go Fishing and Go on a Roadtrip. So many great things to try out this summer! Thanks for sharing our rock collection! Thats a great list. Thanks for sharing all wonderful activities! wow that list will keep you busy. 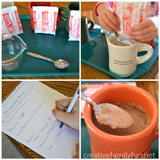 Some great ideas. 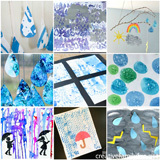 Thanks so much for including our Raised Salt Painting idea. This list is amazing! We're just about to go into Winter here but I've still pinned this list and we're going to work our way through it even in the cold weather! Thank you for including my Splat painting! I've had lots of hits today! We have a copper fire bowl on the patio and our family absolutely loves to have cookouts. We do this just about every Saturday night of the summer. We roast hotdogs (has to be on a stick) followed by marshmallows. Then we sit and enjoy the evening, listening to the birds, followed by watching all the stars appear. (First one to see a star gets an extra marshmallow!) It's a peaceful time together with our family, and doesn't cost a thing. Some day our children will look back on these times together with great fondness. Love it! We made one to but not as many things only 50….lol. Great list and thanks for including some of our ideas! Wow! What a fantastic list! I had a friend ask for bucket list ideas on her facebook page today. I am so sharing this with her! 200?! I am so impressed. Loved it, pinned it and I'm excited to actually do it. Thank you! !